Shaul Bustan was born in the town of Beer-Sheva, Israel. At the age of 6 he began taking mandolin lessons at the local Conservatory. He holds a Bachlor’s degree in Composition & Mandolin from the Jerusalem Academy of Music and Dance under the mentorship of violinist Motti Smidt and the composer Haim Permont. In spite of his young age, Shaul has Written over thirty compositions. His works have included orchestral music, chamber music, vocal, solo, orchestral arrangements, music for the theater, dance and more. His music has been performed by the Israeli Philharmonic Orchestra, the Israeli Chamber Orchestra, Los Angeles Jewish Symphony (USA), the Israeli Sinfonietta Beer-Sheva, as well as chamber ensembles such as Tiroler Ensemble für Neue Musik - Innsbruck (Austria), Musica Nova Ensemble (Israel), Beer-Sheva String Quartet (Israel) and more. These performances and other live concerts have been recorded and broadcasted on the classical radio station "Kol Hamusica" as well as on Israeli television. Music education and Mandolin instruction in Israel are of utmost importance to Shaul. He recently published a book of instruction for mandolin. He teaches mandolin, composition, and music appreciation, and he conducts the children’s orchestra of Mevaseret Zion. He is the founder and musical director of the Gonenim Music Center - a music school in the Katamonim neighborhood in Jerusalem. As a mondolin player, Shaul has performed as a soloist and as a guest artist with the Israeli Symphonietta Beer Sheva, The Israeli Stage Orchestra, Ensemble Kaprizma, The Israeli Mandolin Quartet, The Cameri Theatre of Tel Aviv and various ensembles. His performances have been broadcasted on "Kol Hamusica". 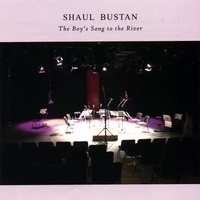 Shaul is the recipient of the 2005/6 Deborah Grossman Award for excellence in music education, and has been Receiving annual scholarships from the America Israel Cultural Foundation for his compositions & mandolin playing since 2002.